Is your organization trying to better understand its data? From high-level analytics implementations to specific tag management trainings there are so many facets of digital analytics to build up. Our trainings are custom-tailored to meet your needs, the needs of your organization, and, most importantly, the needs of your business. Build your analytics knowledge and learn to trust your data all while moving your business forward. We built many of the first libraries and SDKs released for Google Analytics. We know the APIs, measurement protocol and every integrations, feature, and check-box inside and out. 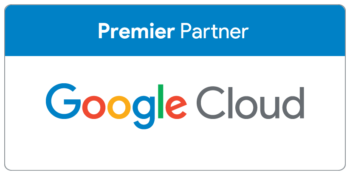 Almost every client of ours is heavily leveraging the Google Analytics 360 integration with BigQuery that enables you to join all of your Digital Analytics data with your data warehouse. We can help train and provide guidance on ingestion, data mining, modeling, and more! We only lead customized trainings that use your data! Our training will use live use cases and exercises that get you into the tool and finding insights. From beginner to advanced, topic or team based, our trainings are fully built around your needs. Remote or Onsite! Google Tag Manager, Tealium, Ensighten and more we use them all! Your Tag Management System is the centralized system that powers much of your marketing stack. We provide training for marketers on deploying simple tags, as wells as developers in utilizing CSS selectors, custom listeners, and advanced deployments. Tableau, Data Studio, Optimizely, Surveys 360, Attribution 360, are just a few of the many other products and tools we train on. Contact us with your custom needs. Is your organization trying to better understand its data? Learn more about our trainings, processes, and get started with your own training sessions.